Magic Spirals is an Alchemy Spinning dance & technology performance by Stanford’s scientists Don Kimber, Maribeth Back, and dancer Raquel Boluda. It will be premiered on November 15, 2015 at Dance Hack Day, SAFEHouse Arts, San Francisco. 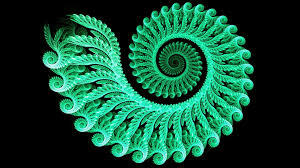 Magic Spirals explores the magic of spirals through dance, music and technology. Ephemeral Footprints is an Alchemy Spinning dance and technology piece that explores the evanescent traces left by human emotions. 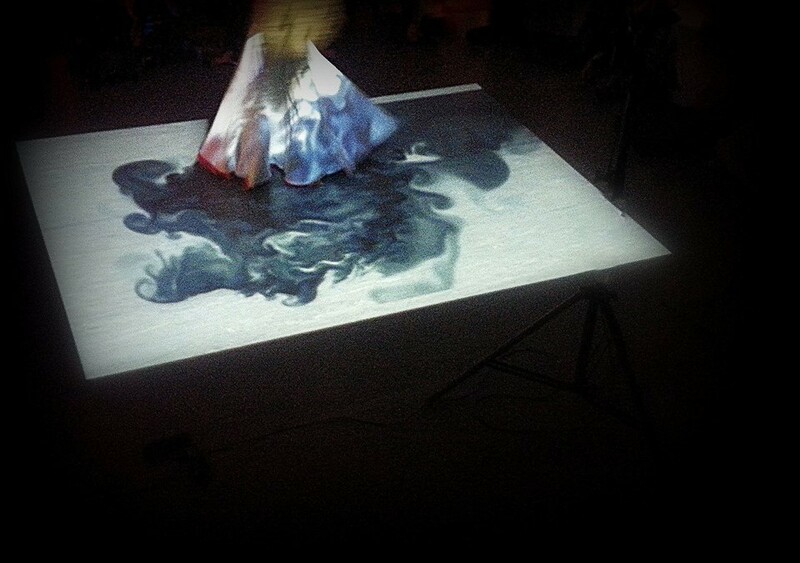 This piece is a collaboration between Raquel Boluda and Weidong Yang, founder and artistic director at Kinetech Arts. 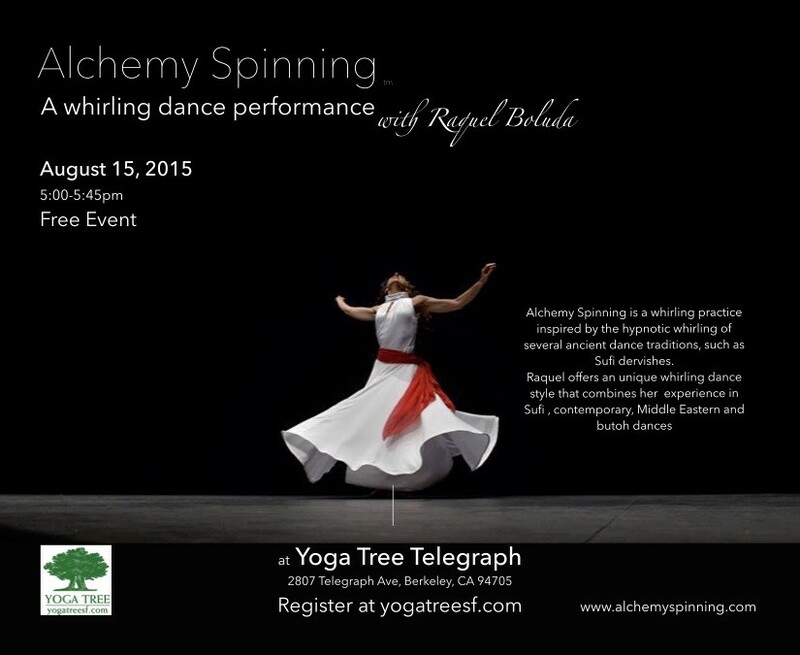 Alchemy Spinning is a whirling practice inspired by the hypnotic whirling of several ancient dance traditions, such as Sufi dervishes. Raquel offers an unique whirling dance style that combines her experience in Sufi, contemporary, Middle Eastern and butoh dances. Raquel offers an unique improvisation whirling dance style that combines her experience in Sufi, contemporary, Middle Eastern and butoh dances. Venue: C/Consell de Cent 394, Barcelona. Date: June 18, 2015 7:00-9:00pm.